Disney On Ice presents Frozen! Dazzling ice skating, special effects and unforgettable music will transport you to Arendelle. Be a part of Anna’s fearless adventure to find her sister, Queen Elsa, whose icy powers have trapped the kingdom in an eternal winter. Join snowman Olaf, mountain man Kristoff and loyal reindeer sidekick Sven as they help Anna in a race to bring back summer. Encounter Everest-like conditions and mystical trolls as you sing along to Academy Award®-winning songs like Let It Go. Hosted by Mickey and Minnie Mouse, the whole family will delight in appearances by stars from Toy Story, Finding Dory, The Lion King and the Disney Princesses. 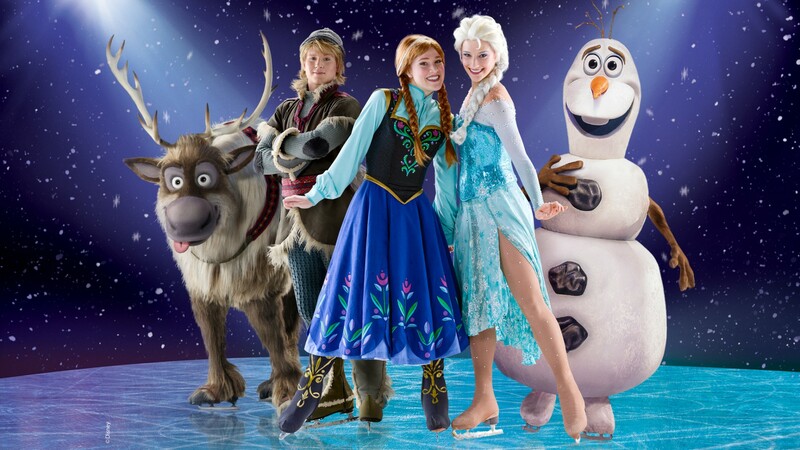 Experience magic at every turn at Disney On Ice presents Frozen – the show worth melting for!